Create strong and forgiving relationships where adults and children alike thrive, safe in knowledge they are known, valued and loved. Bethel Church leadership you can trust. Keeping your love on. It's a hard thing to do. Sometimes it's the hardest thing to do. But if you want to build healthy relationships with God and others, learning to keep your love on is non-negotiable. Adults and children alike thrive in healthy relationships where it is safe to love and be loved, to know and be known. Yet for many, relationships are anything but safe, loving, or intimate. They are defined by anxiety, manipulation, control, and conflict. The reason is that most people have never been trained to be powerful enough to keep their love on in the face of mistakes, pain, and fear. Keep Your Love On reveals the higher, Jesus-focused standard defined by mature love, love that stays on no matter what. 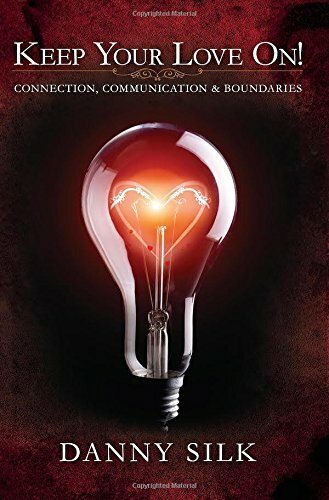 Danny Silk's practical examples and poignant stories will leave you with the power to draw healthy boundaries, communicate in love and ultimately protect your connections so you can love against all odds. As a result, your relationships will be radically transformed for eternity. When you learn to keep your love on, you become like Jesus. Keep Your Love On by Danny Silk was published by Red Arrow Media in April 2016 and is our 2442nd best seller. The ISBN for Keep Your Love On is 9781942306061. Be the first to review Keep Your Love On! Got a question? No problem! Just click here to ask us about Keep Your Love On.